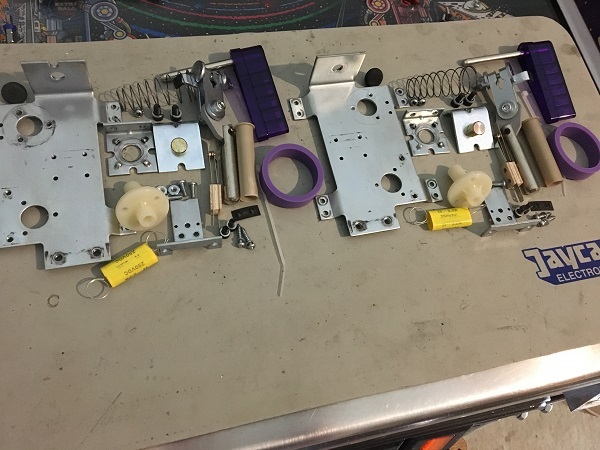 The first step was to start getting the plastics and return lane ball guides off the playfield. The game is well overdue for a clean and there are plenty of ball swirl and trail marks. Thankfully the plastics are not broken, but I’m considering purchasing a CPR set soon. 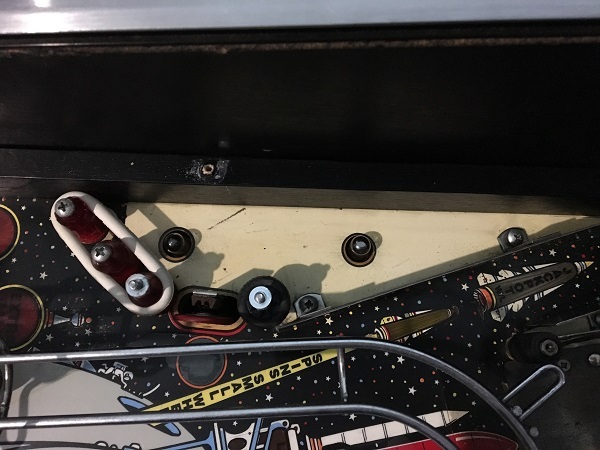 The screws that attach the return lane parts to the playfield connect to T-nuts which are installed under the playfield. Three of the T-nuts were missing and the screws attached by a lock nut instead. 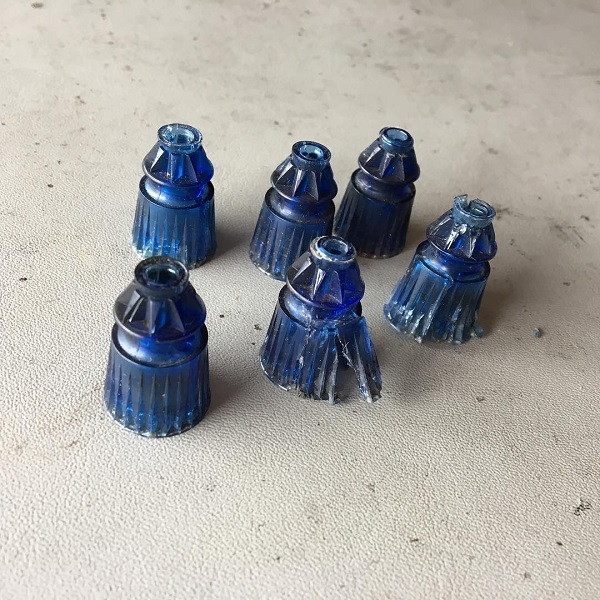 I’ll be fixing this properly as I have some spare T-nuts from my work awhile back on Pinbot that I can use when I’m ready to get the parts back on to the playfield. With all the playfield parts removed for cleaning, next up was to get the sling shot assemblies off the playfield. The assemblies were quite dirty and overdue for a service. The sling shot assemblies were disassembled and each component cleaned up. New coil sleeves were purchased to replace the old filthy ones. One of the sling shot plunger links had a nice crack across the top of it. This will be replaced with another one. Next step was to remove the flipper assemblies for a service. The flippers weren’t too weak, but I’m keen to rebuild them anyway so they are 100% and won’t have to touch them for along time to come. 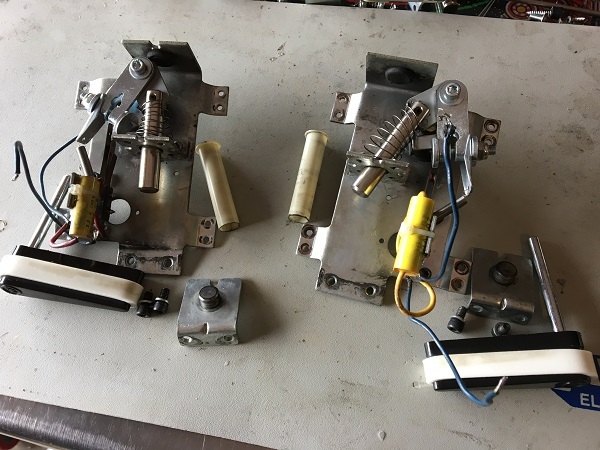 The flipper assemblies were disassembled for cleaning. 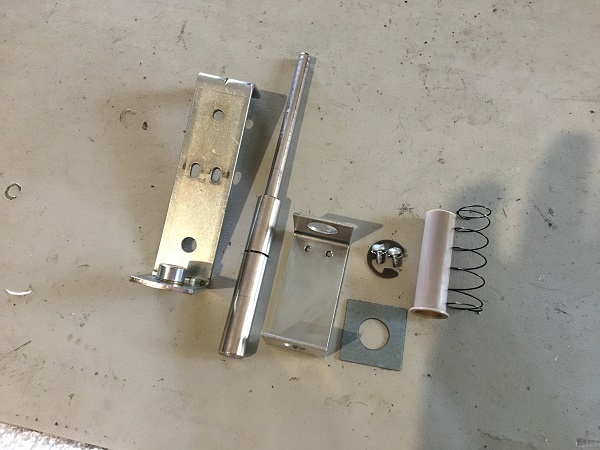 A flipper rebuild kit was purchased to replace many of the old parts. 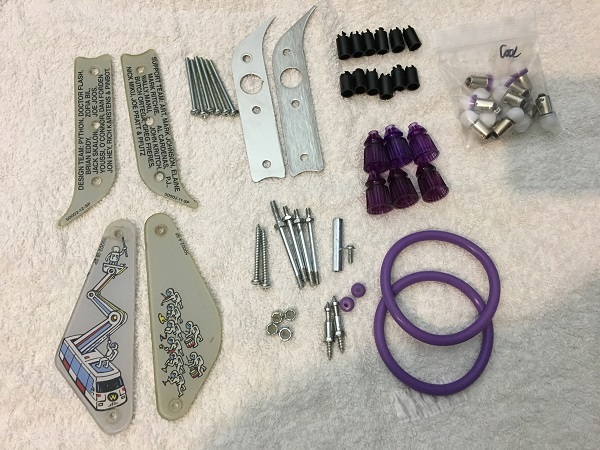 New bushings and rubber grommets were also purchased, along with transparent purple flipper bats (with the Williams logo) and purple Titan flipper rubbers. Both assemblies were now ready to be rebuilt and installed. Since the flipper and sling shot assemblies were off the playfield, now was a good time to clean the lower playfield area. I removed as much of the swirl and trail marks removed as possible. 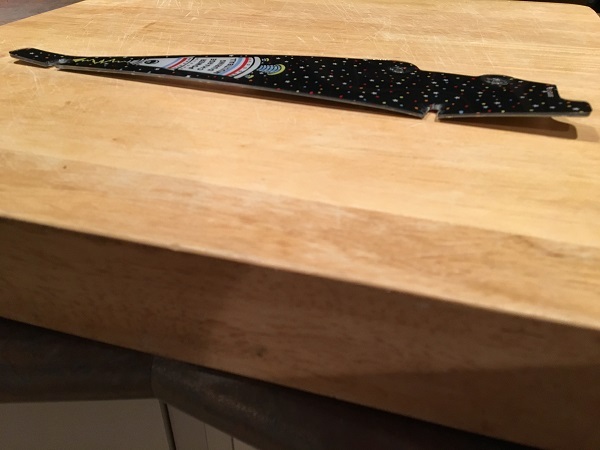 After cleaning the surface, it was then polished with Novus. The switch contacts on the sling shot blade switches were cleaned. These will need some adjusting as they were not sensitive enough before – but i’ll do that once the posts and rubbers are installed. 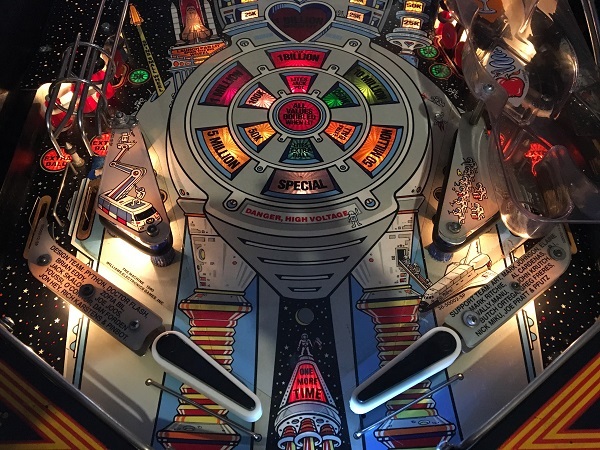 Two small mylar patches were installed where the ball drops back to the playfield from the wireform and heart beat ramp. Since I had already started converting the GI across to LED’s, I was keen to switch the inserts to LED’s too. I don’t think LED’s suit all games, but for a title like BoP, LED’s will transform it. 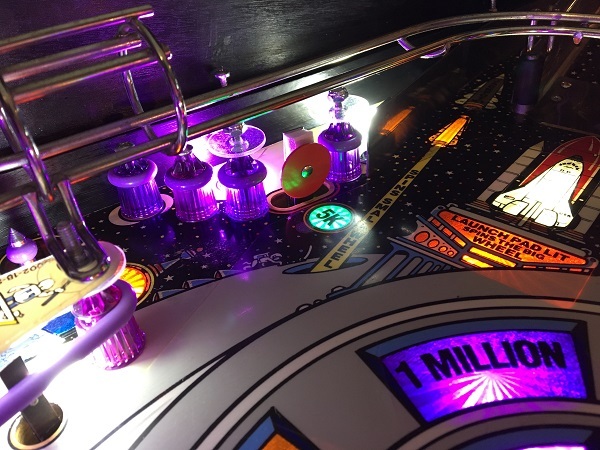 I really like the flicker free LED’s from Pinball Life. I’ve used them on some of my other pins and decided to use them here also. The old star posts had seen better days, some of them not worth saving. The slingshot and return lane plastics were cleaned and polished. The metal parts went into the tumbler for a clean and polish also. I’ve purchased purple star posts and purple Titan rubbers to install, along with frosted cool white and purple LED’s for the GI. The old lock nuts will be replaced with new ones and the 6 screws for the return lanes were replaced with new ones too. 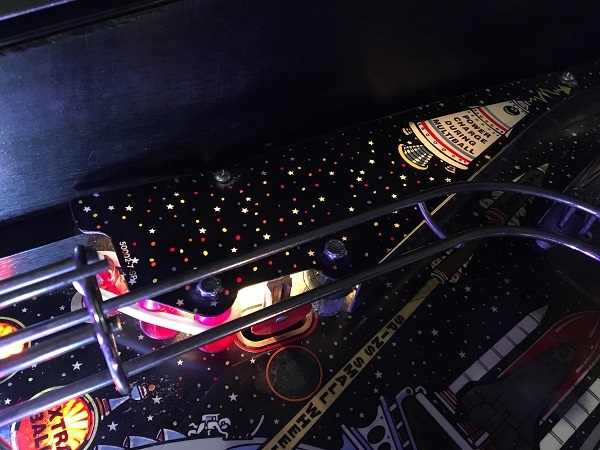 The slingshot and flippers assemblies were installed back onto the playfield, along with the metal rails. Clear lexan washers will be installed under the plastics and new lock nuts on top. The flippers were adjusted into the correct position and then the assembly tightened. 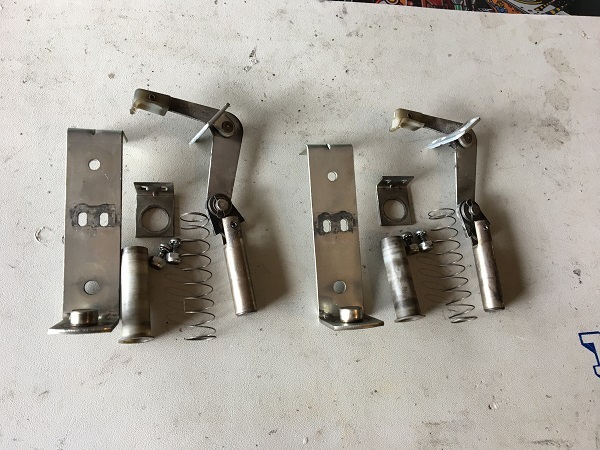 The metal switch arms were also cleaned. 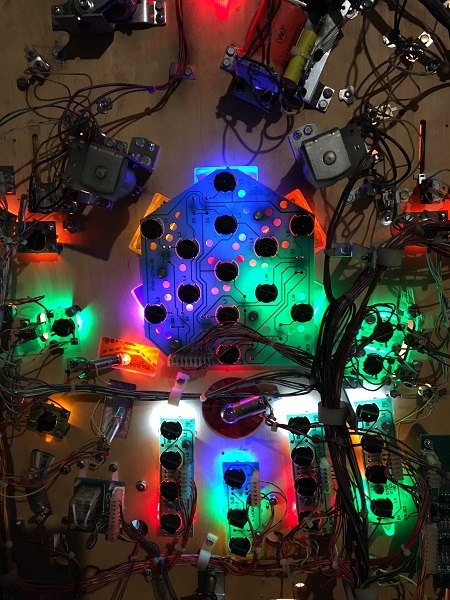 Lit up – the lower playfield area looks transformed. 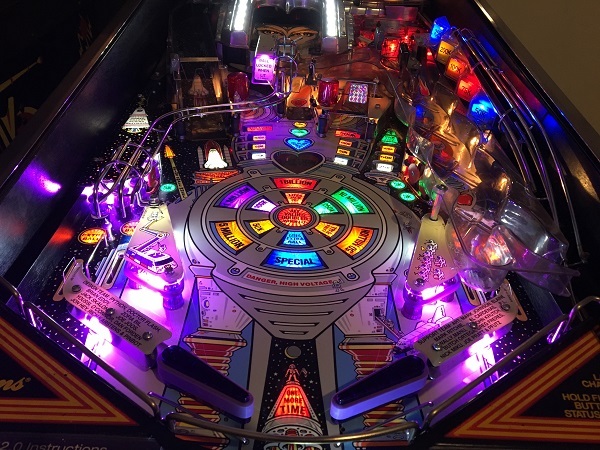 A little further up on the left side of the playfield is a stand up target and power charge plastic which I want to clean. Since I had easy access to it, I decided to do it now. The GI bulbs are burnt, although still light up. They will be replaced with LED’s. The three lower star posts should have a single rubber on each instead of a singel rubber across them. The plastic piece had some warping which I wanted to straighten out. The piece was heated up and then sandwiched until cool to remove the warping. 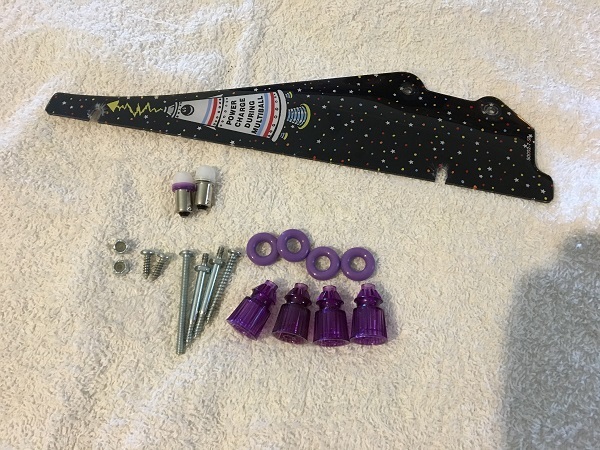 New purple starposts and rubbers were purchased. 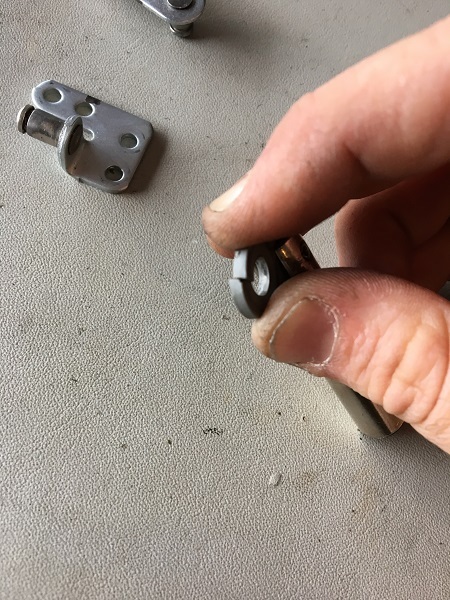 New lock nuts and clear lexan washers will be installed. The metal posts were cleaned up and everything was ready to install. 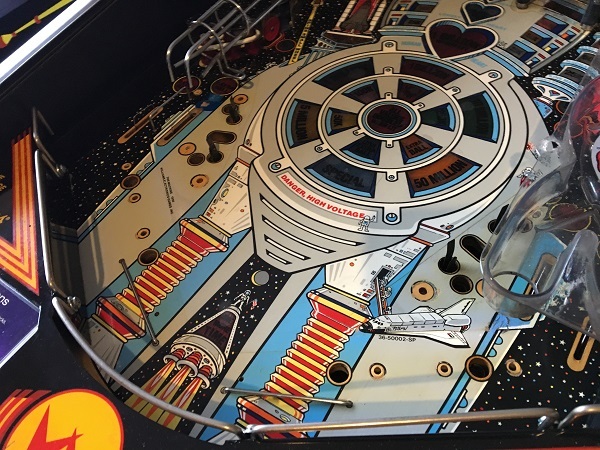 The stand up target was removed under the playfield and then cleaned and polished. The playfield area was cleaned and polished. The new star posts, rubbers and LED’s were then installed. 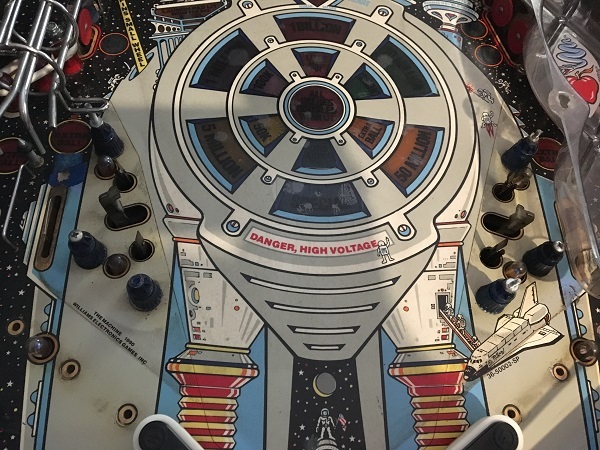 There is a metal ball rail that sits above the target – I will it later for a clean as I need to remove the shuttle ramp to be able to get it off the playfield. 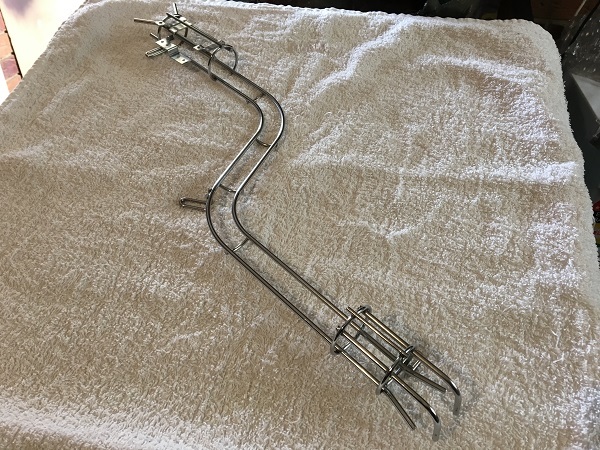 The wire form that runs from the ball lock to the left in lane was removed and cleaned. 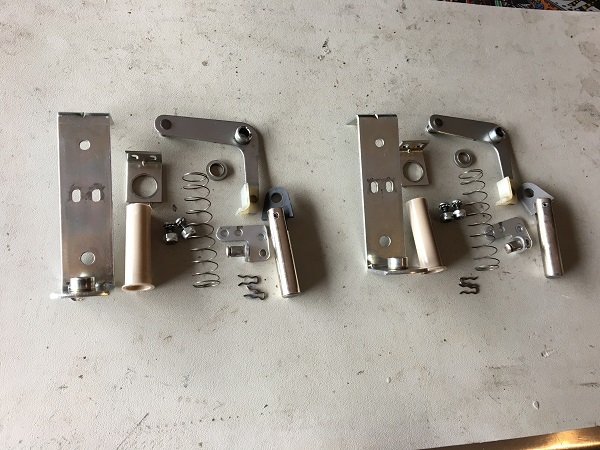 The arms on the ball lock switches were cleaned, along with the plastic housing. The last thing to look at for this update is the disappear post assembly, which acts as the ball lock on the wireform. The assembly was removed from the playfield for a well overdue clean. 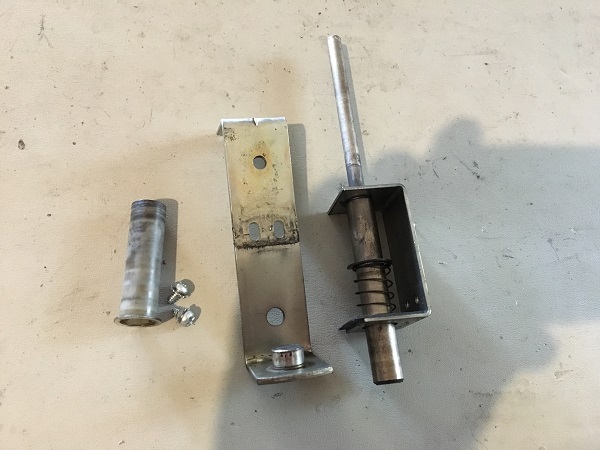 The disappear post assembly was disassembled and each piece cleaned. A new coil sleeve and insulator square were source to replace the old ones. Last step was to get the plastics back on to the playfield. I also swapped the globes on the skill shot to LED’s too. It’s coming along nicely. 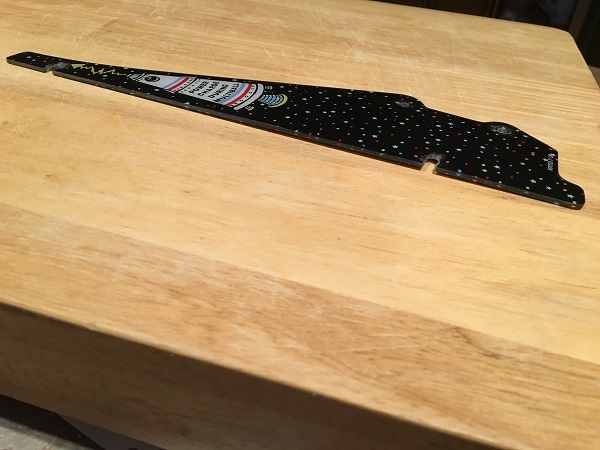 I’m considering adding LED strips along the apron to light up the flipper bats more and perhaps one on the shooter lane. 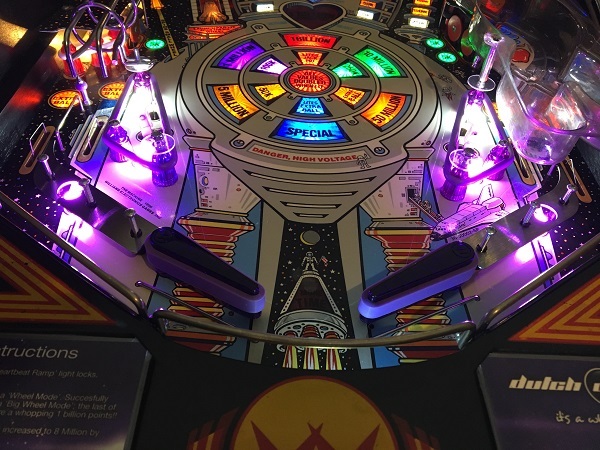 I’ve not used strips before on my other machines, but there are a few dark areas on this game I’d love to light up more.